Home › • MAGNICIDE / BLACK HOLE OF CALCUTTA split 7"
• MAGNICIDE / BLACK HOLE OF CALCUTTA split 7"
A great split! 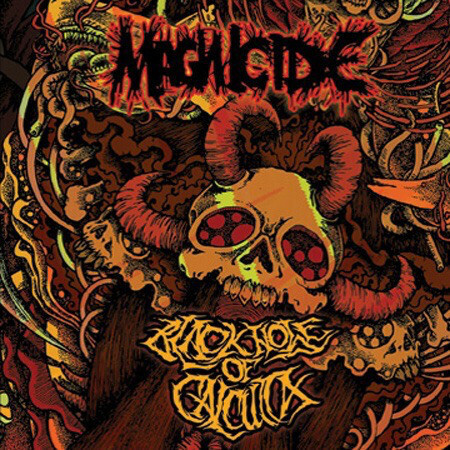 Magnicide deliver a tight, heavy and pulverizing grindcore music that not so much bands can hold that not so many bands can do it well right now. Still playing grindcore and never give up. Black Hole of Calcutta on this split play sludgy mixed with fast driven dark crust tunes inside.